DETAILS: Give the gift of our The Man. The Myth. The Legend. 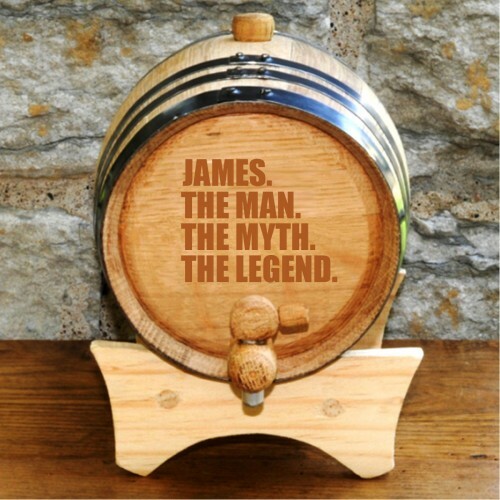 Whiskey Barrel and he'll be aging his favorite whiskey with honor. SPECIAL NOTE: After curing with water it may be necessary to use a wax product to further seal the barrel from any leaks that remain after the curing process.